The game contained the Speller Junior game tray, 30 picture/word cards with 3- and 4-letter words (printed on both sides, so there are 60 pictures in total) and 8 letter cubes. 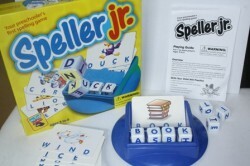 The plastic tray holds the card, with four slots to fill in the letter cubes to spell the word as in the picture on the specific card. Each card has a 3-letter word on one side and a 4-letter word on the other side. - Object and word recognition The child recognizes the object on the card and the word for that object, a preparation for reading readiness. - Letter recognition and matching To spell a word, the child must be able to recognize the letter or alphabet. 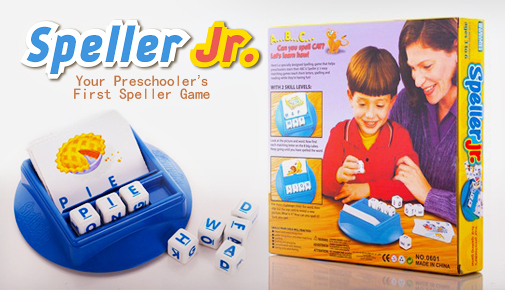 This would also enable the child the find the letter on the cubes to match the letters on the card. 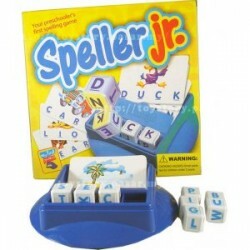 - Concentration and memory The child glances at the picture and the word, then flip the Word Cover over the word. The child is no longer matching the letters, but is actually spelling the whole word from memory. - Taking turns, sharing and playing together The game can be varied for 2 players or more. Children take turns spelling the words on the cards. 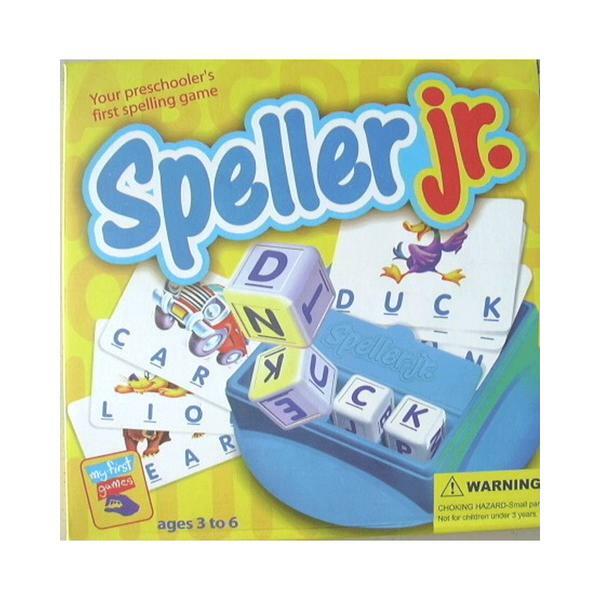 The player who spells correctly you can play by letter matching for young children and spelling from memory for older kids keeps the card. The person who has more cards in the end, wins.